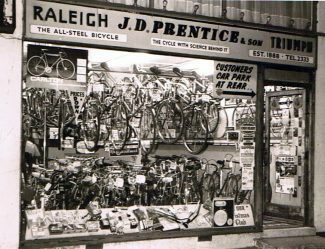 You are here: HomenextPeoplenextBusinessesnextPrentice's cycle shop (Republished August 2016 with family photograph). 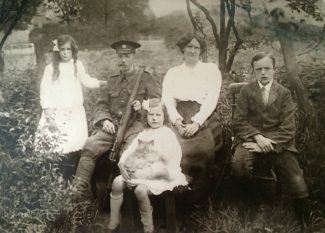 The Prentice family c.1916. In front is Dorothy, and behind her, from the left - Gladys, John Dix, Emily Frances and Austin. 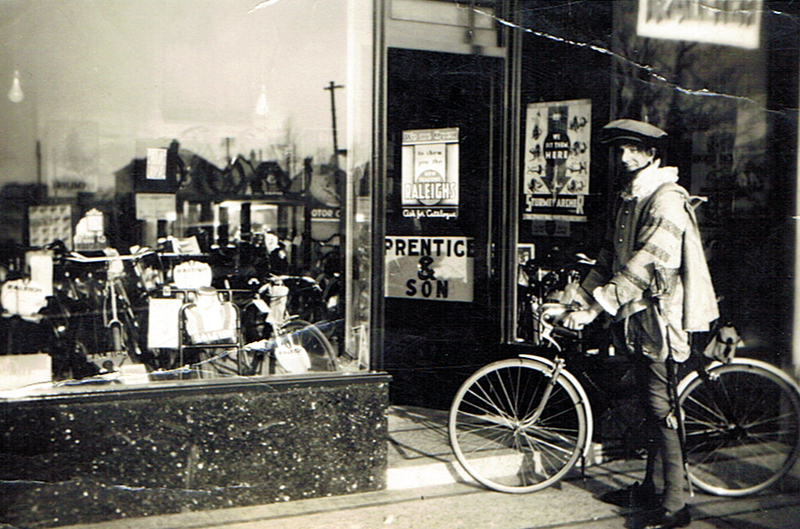 John Dix Prentice started with a shop in Manor Park in 1888. 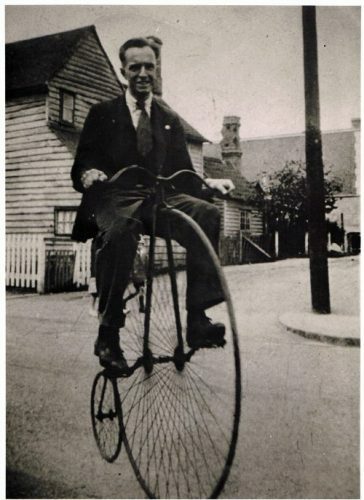 He moved to Wickford in 1902 and started on the present site at London Road. In these early days times were very difficult and one day John Dix had to cycle to Rayleigh to collect some money owing him so his young family could have their Christmas dinner. Many times the river Crouch flooded and in 1937 the family cat made local headlines as “The Swimming Cat” as it had swam through the flooded river, much to the delight of local reporters. The river also flooded in the fifties, and we have all seen the picture of the submerged bus in the flooded High Street in front of the shop. My own memories of that night are of being trapped overnight with my mother and sister until we were eventually rescued the next day. 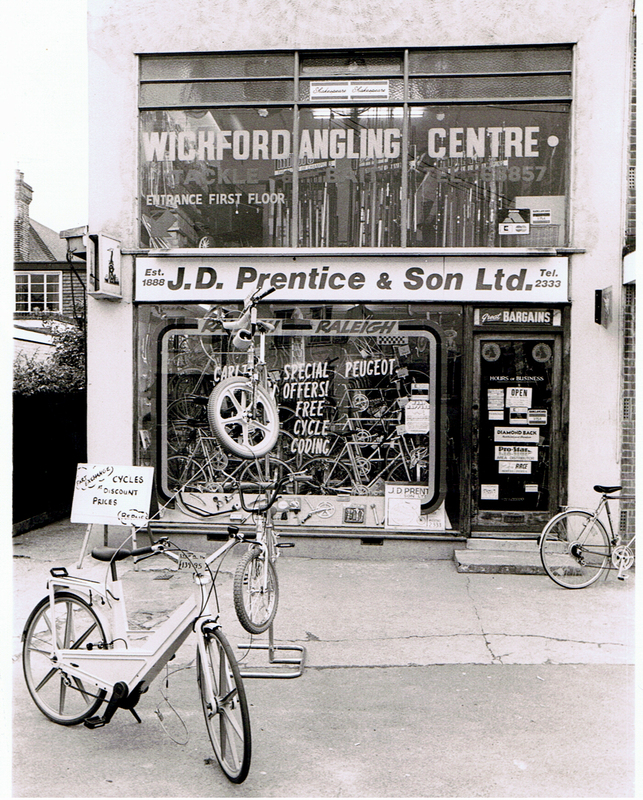 We have had a few famous customers over the years including Stirling Moss, Julian Dicks and many Essex cricketers and the most notorious; Ronnie Kray, who pulled up outside the shop in a big Limo and asked if he could purchase a second hand moped. Many years later I saw a documentary on the Kray twins and I saw the same moped being ridden around a campsite at Steeple by a young man. My grandfather, John Dix Prentice, served in World War I with great distinction. He had many close calls during his time, including one occasion whilst working on an army vehicle some shrapnel came across from the German lines and killed the two men standing either side of him leaving him completely unscathed. He had another great love, apart from bicycles, and that was railway-engines. When drinking in the Castle pub they could hear the trains arriving at the station and John would tell his companions that he could tell them what type of train and the number, just from the sound of the train. They would then have a wager, which John Dix would invariably win. He died in 1948 and is buried in the cemetery on Runwell Road. 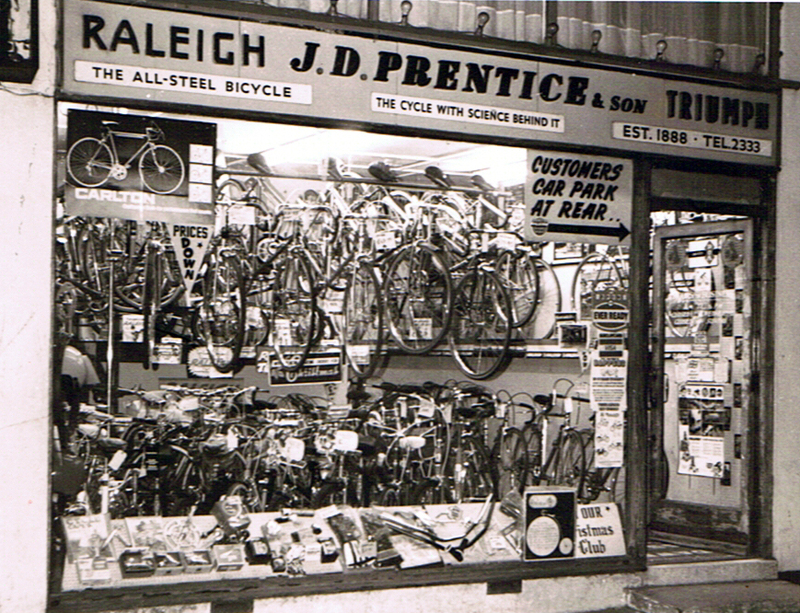 The shop has many distinctions including being known as the oldest cycle retailer in the U.K. I remember Vaughan going to the Windmill pub with ‘the gang’ in 1975! I moved to Jersey. My wife apparently, is a distant relative to the Prentices.Her grandmother was a cousin to John Dix, and there is reference to a family of Sings who married into the Prentice family some time ago. Hi, You may not remember me but St Pierre might trigger the memory. 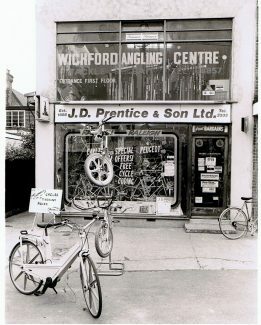 It was nice to read the article on the family cycle shop, pity it had to be taken over.